Swimming pools constructed by a reputable Austin pool builder are great for cooling off in on days when the outside temperatures are through the roof, and they’re also great for playing in with friends and family. But pools can even be a source of an excellent workout. Next time you’re ready to break a sweat, consider taking your workout to the pool with these water exercises. One of the most basic yet highly effective means of getting a great workout in the pool is by swimming laps. This type of exercise can really get the heart rate going and burn some serious calories, all without even feeling the heat and sweat that you’d otherwise experience outside of the water. In fact, you can burn as much as 1,000 calories per hour, depending on how fast you swim and how hard you push your body. Whether you choose to do the front crawl, butterfly stroke, breaststroke, or any other type of stroke, you can guarantee a great workout just by swimming a few laps in your pool installed by your Austin pool builder. Water aerobics is generally done while standing up in shallow water. The biggest benefit to doing aerobics in the pool instead of out on dry land is that it’s much easier on your muscles and joints, leaving you with the benefits of the activity without the pain from high impact movements. Common movements involved in water aerobics include the K-Tread, which involves treading water in the deep end while making small circular motions with your hands. You can also do water walking in waist-high water that involves walking and swinging your arms at the same time. Other exercises include lifting and moving water weights, leg exercises with pool noodles, and even water yoga. There are certainly a number of benefits to exercising in your pool instead of out on dry land. Not only are they low-impact and give you a great workout, they’re fun too! 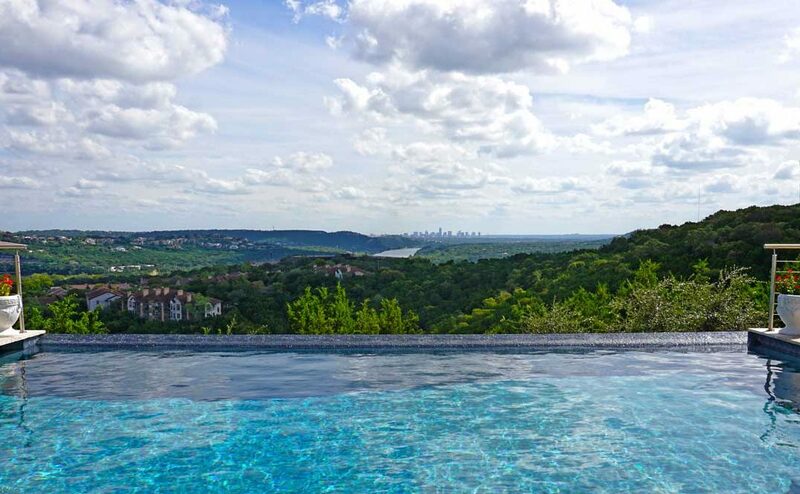 Get in touch with an expert Austin pool builder to get you started building your custom luxury pool so you can finally take your workouts to the water!